This is the first and only book available on the tier whose techniques with epoxy and silicone revolutionized saltwater fly tying. 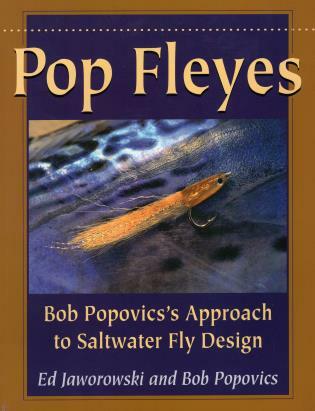 The family of flies Bob Popovics developed over the last three decades (dubbed "Pop Fleyes," a spelling that incorporates part of his last name with the fact that eyes are a prominent feature in their design) have proven devastatingly effective for stripers, bluefish, false albacore, and many more species. This book goes beyond the basic recipe format to provide the thinking behind Popovics's pattern development, a guide to key tying techniques, and detailed notes on how to fish Pop Fleyes most effectively. Bob Popovics is the founder of the Atlantic Salt Water Flyrodders, advisory member of TFO rods, a member of the Renzetti Legacy Tying Team, associated with Tibor Reels, and a Freshwater Fishing Hall of Fame and Catskill Fly Fishing Museum Hall of Fame inductee. He is the co-author of Pop Fleyes with Ed Jaworowski. He lives in Seaside Park, New Jersey.